What are the must-have items that you need to have on your appraisal website to ensure it actually brings you leads and orders? In this video, you’ll learn what you need to make sure you incorporate into your website. Let’s talk a little bit about website musts. What are the things you must have on your website? We talked about why you must have a website. We’ve talked about getting your appraiser website domain name. 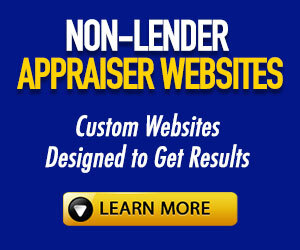 Now we are going to talk about you what you must have on your appraiser website. I want to share a couple of “did you knows”. I’m not a big stats guy, it’s easy to put up stats but these are important, and I want to share them with you. When somebody comes to your website it takes about a half a second for a visitor to form an opinion about your site and decide whether they’re going to like it or not, whether they’re going to stay or leave. Then if you pass that half second test, they spent about two and a half seconds trying to find or land on the portion of a site that most influences their decision. So, you have two and a half seconds to really capture their attention and be engaging enough to not allow them or make them want to leave. And then the other part is, 78 percent of visitors usually judge your company’s credibility by the design of your website. We’re going to talk about the design in a little bit. Visitors spend only about 5 or 6 seconds looking at your content, so it’s got to be effective. You get about five to six seconds to really make an impression and to really have effective content that is going to make them want to stay. Don’t assume they’re going to go and read everything that you have on there. Only 70 percent of websites have a call-to-action. Matter of fact, I would say probably 95 percent of appraiser websites out there do not have a call-to-action when somebody comes to your website. What do you want them to do? There’s no call-to-action on most appraiser websites that we see. It’s really important that you do that. Finally, 88 percent of visitors are less likely to return to a website after a bad experience. If you have a bad site that is not converting, and people don’t like it, there is a very good chance that your potential client is not coming back. You’re going to get one chance to really impress them to come and check out your site. If it’s not what they like or if it’s less then effective, then there is a very good chance that you have lost them for good. So, let’s talk about what your website must have. First of all, it’s got to have a simple layout, it’s got to be appealing, and have a clear navigation. I can’t tell you how many appraiser websites I’ve seen that have everything from mortgage calculators to how to cook your Thanksgiving turkey… and the confused mind does nothing. They’re going to move on. It’s the old “KISS Theory” – “keep it simple stupid”. And so, you want to make it simple, clear, and appealing so when they come there, their mind is processing things very quickly. You want to have your name prominently there and make your phone number available. I can’t tell you how many appraiser websites I have gone to and I must look everywhere for the phone number and then I find it in some very small print down at the very bottom of the website. That happens all the time. Why would I make it challenging for a visitor to find your phone number? Make sure your phone number is prominent. When they come to your site can they process it that within a few seconds? When they come to your site can they see do divorce appraisals in their city? And can they process that very quickly? Also, is it personally branded? I would say the majority, and I mean the vast majority of you all have a website that looks like everybody else’s boring website. There’s no personal branding. If somebody was to go look at your competitor, it looks exactly like your site. So, what makes you stand out? You’ve got to have a USP… that’s your unique selling proposition. What makes you different than somebody else? The last thing you want to do is have a site that looks just like somebody else’s site. Do you have a welcome video on your site? People want to know or work with people they feel they know and trust. Remember you have about five seconds to capture their attention. If they don’t scroll down and they don’t hit their mouse, what shows on their screen? What’s that first impression? And that is critical real estate where you really want to capture their attention. You’ve got five seconds and if you’re wondering what “What does ‘above the fold’ mean?”… It means when they go to your site, if they don’t hit their mouse and they don’t scroll down, what shows on the screen? What’s that first impression? This is really important because that’s crucial real estate when you’re trying to make an impression. Is it integrated with your social media? Do you have the social media links that are going to take them to your LinkedIn or your YouTube or your Google Plus? Do you have the ability to chat with them immediately? Meaning if somebody comes to your site do you have a way to connect with them right now? Really important now too is your website responsiveness. And what does that mean? Is it mobile compatible? What does it look like on all the different devices? If somebody pulls up your website on their phone, or if somebody pulls up your website on the on their iPad or if somebody pulls up your website on their laptop. What does it look like on a 13-inch laptop? What’s it like on a 15-inch laptop? What’s it like on a 1- inch or larger? Well, an encouragement for those of you who have a website, here’s a great resource for you. Go to ResponsiveDesignChecker.com. You can put in your website address and it will show you exactly what your website looks like on all the different platforms. So if you’re wondering “What does my website look like if somebody is looking at it on mobile or on different sized screens or on an iPad?” Go to ResponsiveDesignChecker.com and you can see exactly how it looks. If you need to make changes you can do that. Another thing that’s important now is your website has to load fast. If you’re not sure how fast your website is loading when somebody comes to it, it needs to be under three seconds. And if you’re not sure and you want to check that, go to Tools.pingdom.com you can put in your website address and it will tell you how fast your website is loading. Once again that really needs to be under three seconds. People are looking elsewhere or making snap judgments. So that’s another great resource for you where you can go and check how fast is your website loading. If it’s over three seconds, then you really need to make some changes to improve that load speed. The other thing I see all the time is reviews and testimonials. These are things you work hard to get and what I find all the time is appraisers bury these on a review page thinking somebody’s going to go click on that page and look at all your reviews. You need to have these showing on your home page. You’ve got a short period of time to get their attention. Get those reviews. Get those testimonials on your home page, you can have a review page as well where they’re all built out, but they need to be rotating and show on your home page so that you can make that impression with a visitor when they come so don’t bury those somewhere on your site. Here’s another must that you need to have… is a call-to-action on every page. What do you want them to do? You need to have a call-to-action. Do you want them to call you for a free quote? Do you want them to get on your newsletter list? Do you want them to like your Facebook page? Business page? You need to have a call-to-action because you want to be able to engage with them down the road. Maybe they’re not ready to order an appraisal right now. Maybe you’re going to need to nurture that quite a little bit. So, you’ve got to have a call to action and I will show you an example of that in a little bit. You also need to have a website that’s easy to add or change content to. This is really important. We use primarily WordPress themes, but what I find with most websites is if you want to make a change, it’s so hard on most sites out there. Especially in this day and age you want to have a website that is easy to go in and modify. It’s easy to add content to, it’s easy to change content, it’s easy to change the look. We’re going to show you an example of this. I have only seen quite honestly maybe one or two appraisers that can do what we’re going to show you in just a little bit, but it’s got to be a website where you can make tweaks without having to hire a website developer to do it. And so once again it’s got to be an easily adaptable site and not one of these templates sites you’re kind of locked into. Now I know we had several of you who have said “yes, I have a site and it’s an excellent one”… and it could very well be. And if you do that’s great… that means you’re doing great. So you probably get a lot of work out of it. The point I want to make is do not fall in love with your own website. I see this all the time. Appraisers hire developers and they spend all this money to get a trendy looking website that doesn’t convert. They fall in love with their site they think “Oh this is great, I love the way my site looks,” and really what’s most important is not that you love it. What’s more important is that your clients love it. When you’re putting your site together, what I encourage you to do is take an objective look. For example, have some attorneys, if you’re looking to attorney work, have them look at it. Does it resonate with them? If you’re looking to market out to realtors does it resonate to them? Does it resonate with homeowners? Don’t fall in love with your own website. Make sure you’re getting objective opinions from your target audience. It’s more important what your audience thinks than what you think regarding what your website looks like. The next thing is, don’t make your website all about you. We’ve made this mistake in the past. This really needs to be how can you help your client? How do you solve the pain? People are coming to your website for a solution to their problem. So many times, what I find on appraiser sites now is they spend a whole bunch of time talking about how great they are. And once again you’ve got a limited time. You want to make an impression on what is it that you can do to solve their pain. How can you help them? So don’t make your website all about you. Once again – pretty does not equal conversion. The primary goal of a site is not to look pretty. The primary goal is to get business and to drive leads, to get traffic, to get clients. So, when you look at your website, is designed to be pretty or is it designed to get results? It should convert visitors into clients. The last 2 points I want to make on this is moving forward with a new day and age. Marketing is always changing. The industry is always changing. Your website must be able to adapt with the times. There are going to be things you learn and there are going to be things that you didn’t think about doing on your site in the beginning. You want to make sure on your site even though you think it may or may not be perfect right now, it may or may not be tomorrow. If there’s something you want to add tomorrow or revise tomorrow… are you stuck in a template site? Meaning… you must choose between one or two or three templates or you got stuck with one design? Are you able to go in and modify your site really easily to be able to allow you to grow with your business? Maybe you saw something on somebody else’s site and you thought, “Gosh I wish I would added that on my site,” but now you’re stuck. So you want to make sure you have a site that is adaptable, it’s flexible, it’s easy to add content and easy to change the look. Maybe you want to go on a different route with a specialty in your business? 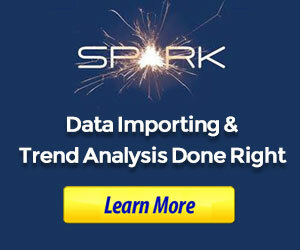 You want to be able to easily modify your site. The majority of sites out there do not allow you to have the flexibility. Make sure yours does. Thoughts, questions, comments? Leave them below or post in our free Facebook group.